For those of you swear by the Apple Watch and are fans of anything and everything Hermès, here are some updates as far as the much-loved leather straps are concerned. Available in delicate, pastel hues that’s absolutely perfect for the season, do keep an eye out for the leather bands which will come in tri-coloured combinations like Bleu Lin/Craie/Bleu du Nord and Sakura/Craie/Argile. Price-wise, it is the same regardless of the watch size (40 mm or 44 mm), coming in at SGD519 for the Single Tour and SGD759 for the Double Tour, which is pretty reasonable considering leather bracelets retail for a similar price at Hermès. Another point worth mentioning? 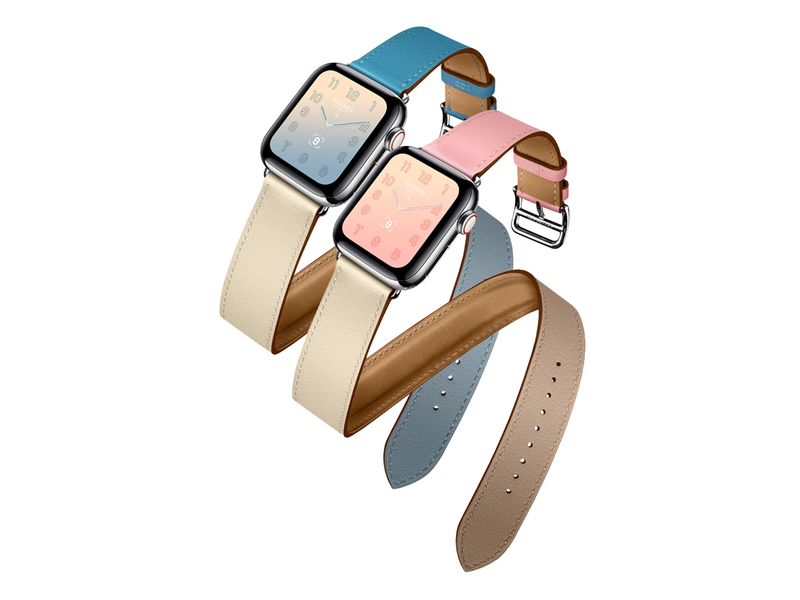 The leather band is compatible with previous versions of the Apple Watch, which is all the better if you’re still on an earlier version but would love to switch out the existing straps for a brand new piece. Keen to get one? The leather bands are now available at the Apple Store over at Orchard Road, or you can also place an order online and get it shipped to you for free. Alternatively, you can head down to an Hermès boutique near you, where the leather bands are currently available.